The first time we saw this little cottage was in a magazine in D.C. It was featured along with million dollar houses that had been singled out in design competitions. 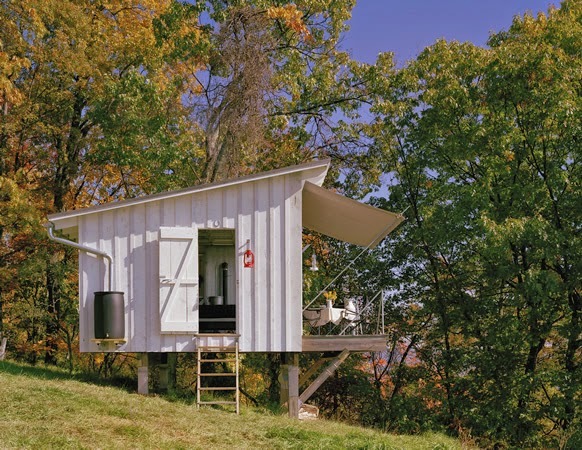 The West Virginia Shack stood heads above all those McMansions. The shack was designed by Broadhurst Architects in D.C. They have done a second design featuring a play on an old corn crib. Check out more about this little gem on their site.